A few weeks ago, I posted a recipe for a gluten-free Flourless Chocolate Cake made with garbanzo beans (AKA chickpeas). 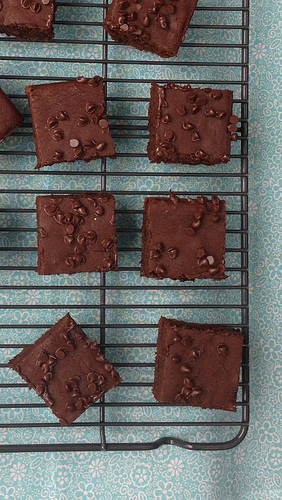 At the end of the post, I promised to create a brownie recipe using black beans which is something I have wanted to do for years. 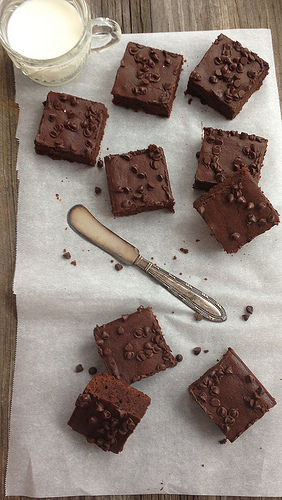 Lucky for me, after reading my post, Mindy, a mom of 8-year-old twins from the suburbs of Chicago, sent me her family’s favorite Black Bean Brownie recipe from All Recipes.com. Mindy told me her kids gobble them up and ask for seconds and thirds. “I don’t feel bad about my kids eating seconds of these brownies because I know they are getting fiber and protein in every bite.” That, plus the fact that Mindy’s sister-in-law is a pastry chef in Phoenix and makes theme all the time for her family, convinced me to give the recipe a try. Mindy’s recipe called for a can of black beans, a small amount of vegetable oil, sugar, and half a cup of chocolate chips. Given my inability to leave well enough alone, I tweaked the recipe a tiny bit and came up with brownies so good, you simply won’t believe they’re made with black beans (nor will your kids). 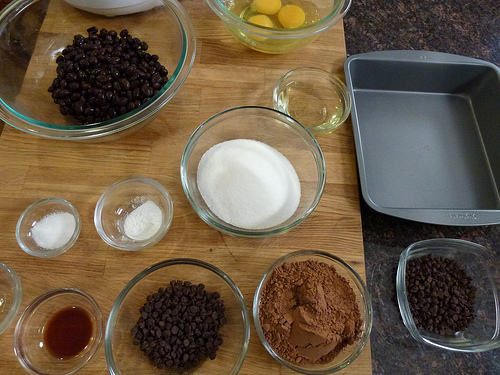 Place the black beans in the bowl of a food processor and process until smooth and creamy. Add the eggs, oil, sugar, cocoa powder, vanilla extract, peppermint extract as desired, baking powder, and salt and process until smooth. Add ¼ cup of the chips and pulse a few times until the chips are incorporated. A recent University of Tennessee study found that draining and rinsing canned beans washes away 41% of the sodium. If you like nuts, you could add half a cup of walnuts or pecans, chopped. The original recipe called for topping the brownies with all the chips. We decided to add half to the batter and half on top. Also, the original didn’t call for any baking powder. 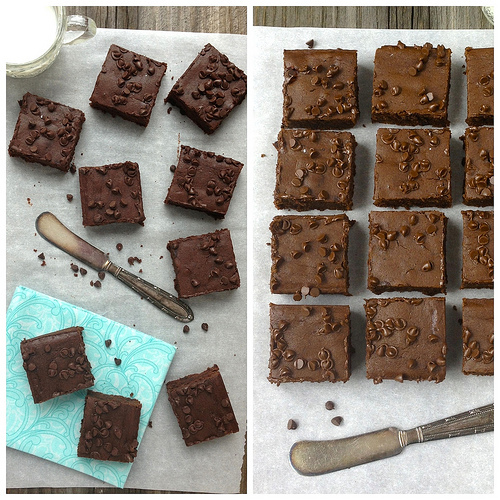 We added ½ teaspoon per Mindy’s suggestion because the first time she made the recipe, the brownies came out flat.